Bradley Workshops are near the end of the Bradley Arm. 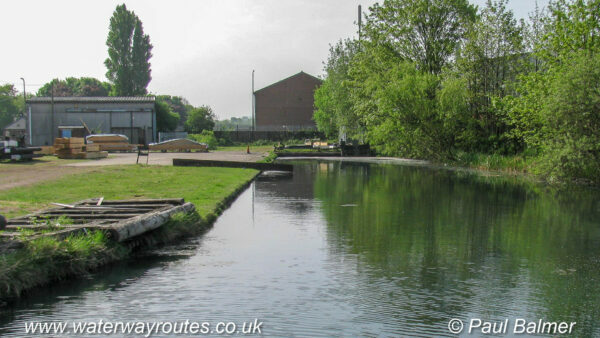 Bradley Workshops, where lock gates are made, are near the end of the Wednesbury Oak Loop. This once formed a complete loop of the Birmingham Canal Navigations (BCN) Old Main Line until it fell into decline and was severed. There are proposals to re-open the canal ahead, linking through the Rotton Brunt Line and the Bradley Branch to reach the Walsall Canal at Moorcroft Junction. Those waterways are becoming known as the Bradley Canal.